Weekends, Rita Sosa tends to spend at her beach house, just over an hour’s drive from Panama City. “Our house is literally on the beach,” says Rita. “When I go up there, I just go to relax and swim. I’m very happy to sit and read a book outside and not do a whole lot of anything. It’s so great to have beach weather 12 months a year, and I love the tropical greenery. Rita moved to Panama City for love. She met her Panamanian husband, Alex, when they were college students in Massachusetts. Right after graduation, they made the move. 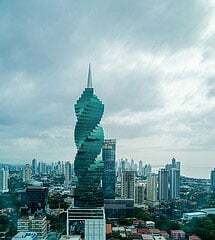 And in Panama City, Rita found friendly people, a ready-made expat community, and a growing capital. 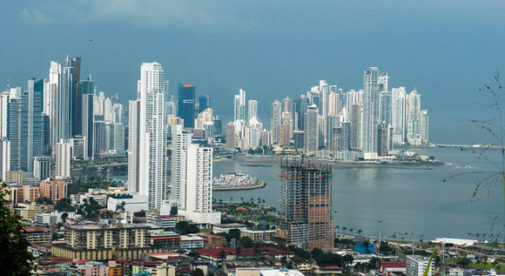 But “Panama has come such a long way,” says Rita, who has watched the city expand and add modern amenities with increasing speed in her years of living here. One of her favorite things is the growing food scene. “There are great restaurants. I love fish, so having access to fresh corvina and ceviche is wonderful. And I am a big fan of all the fried stuff,” she adds. Empanadas, yucca, and a fried breakfast bread called hojaldra are just a few of the local preparations she enjoys. Love brought Rita Sosa to Panama, but the excellent food scene, warm climate, and proximity to gorgeous beaches kept her in Panama City. Over the years, Rita has made friends by getting involved in various groups—she joined the American Society, served on the board of the Ancon Theater Guild, and even sings in the choir at St. Mary’s church. During the weekdays, she is a middle school principal at the English-language school Balboa Academy. One of Rita’s favorite restaurants—a local treasure called Los Camisones—is just a short drive from her beach house. “We go all the time, it is a fabulous place with the best lobster. I’ve had lobster all over, but this place does it exactly en su punto—perfect,” she says. For just over $20, Rita can enjoy lobster with a choice of French fries, fried yucca, or salad, and a glass of wine. “We go so often, they know us. When they see us coming, they bring out the little wine bucket! And we’ve known the owner forever—he is Spanish and he learned to cook in Austria.